Nile cruises & Nile cruise holidays from Sharm el Sheikh for 5 days to explore Upper Egypt and discover Luxor and Aswan ancient monuments and temples. Catch your 50 minutes flight to Luxor. Meet in Luxor airport and transfer to the West bank. The Valley of the Kings: 3 different tombs visit. Check in your floating hotel and dinner. 21:00 pm Breakfast on boat and visit to Karnak temple. Afternoon sail to Edfu vis Esna. 15:00 pm Morning visit to Edfu Temple. Continue sailing to Kom Ombo. Visit of Kom Ombo temple and Crocodile museum. Continue sailing to Aswan, overnight on boat. 21:00 pm Visit to Hight Dam of Aswan. Optional visit to New Kalabsha site and Kirtasi kiosk. 21:00 pm In the early morning optional visit to Abu Simple temples. Check out your floating hotel at 12 pm. Free afternoon, optional visits are available. Flight to Sharm el Sheikh. We do pick up from any hotel in Sharm el Sheikh. We will pick up you from your hotel in Sharm el Sheikh in the early morning and transfer to Sharm el Sheikh International airport to catch your flight to Luxor. The flight to Luxor will take 50 minutes. Our guide will meet you in Luxor International airport with the sign "sharm-club.com". Transfer to the city to start your Upper Egypt exploration. We will 1st visit Colossi of Memnon. Next stop at the Mortuary Temple of Hatshepsut ( Deir el Bahari temple ) – this is the most beautiful temple in the necropolis and the queen herself is one of the most colourful figures in ancient Egyptian history. Valley of the Kings is a remote valley deep in the limestone hills to the north-west of Deir el Bahri. Your visit includes entry into 3 tombs, however if you wish to see either the tomb of King Tutankhamen or Tomb of Ramses VI, there is an additional ticket cost. Afternoon check in your floating hotel. Lunch on board, some rest and continue exploring the city. Karnak temple exploration - this great national monument of Egypt has no equal. Back to the boat for dinner and evening entertainment program, overnight in Luxor. Breakfast on boat and let’s visit Luxor temple. This beautiful temple was built on the east bank of the Nile by Amenhotep 3, “the Magnificent.” The temple was dedicated to the Theban triad: the great god Amon-Ra, his wife Mut and their son Khonsu. Afternoon we start sailing towards Esna city. The distance is around 55 km. Let’s enjoy with the beautiful views of the Egyptian countryside until we reach the lock of Esna, we pass through the lock and continue sailing to Edfu. The distance is around 65 km. Lunch & dinner on board. Overnight and evening entertainment program. In the morning after the breakfast we will visit Edfu temple of Horus, but to reach the temple we should catch a cab. The entire temple is embellished with wonderful reliefs. This is one of the most beautiful and certainly the best preserved of Egypt’s monuments. There is no ancient monument in the world that can match it. Then back to the boat to continue our journey toward Kom Ombo. In the afternoon we will visit Double temple of Sobek & Horus at Kom Ombo and newly opened Crocodile museum. After visiting the temple we will be back to the boat to continue sailing to Aswan. Let’s have lunch and dinner on board. Overnight and evening entertainment program in Aswan is available. In the early morning after the breakfast we'll start our Aswan city tour. We will visit the High dam which is situated 6,5 kilometres south of the original Aswan dam built in 1902 & subsequently heightened on 2 occasions. Then we will take a motor boat and visit New Kalabsha site with its Nubian monuments (optional visit with extra money). Our next goal will be a jewel of Upper Egypt, a beautiful small island of Philae. 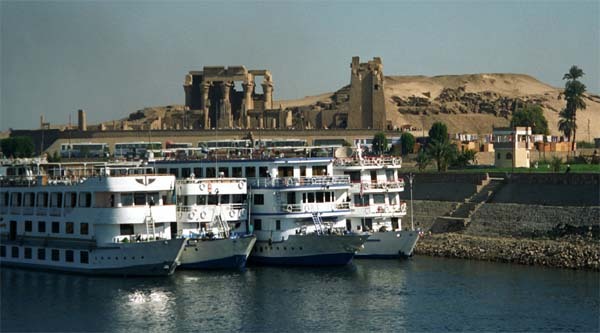 To reach the extraordinary temple of Philae island we will sail by a feluca boat. The original monuments of the island was dismantled & re-erected on another island called Agilkai, slightly to the north of Philae. So, this is the place we are visiting these days. Lunch on board and optional afternoon visit to Botanical garden. The island is one of the oldest gardens in the world & includes a rare collection of tropical plants which have been collected from all over the world. Overnight and evening entertainment program on board in Aswan. In the early morning optional visit to the famous huge temples of Abu Simble or the Nubian village. In the afternoon transfer from Aswan to Luxor airport to catch your flight back to Sharm el Sheikh. Flight from Luxor at 8 pm. In Sharm el Sheikh our rep will meet you and transfer to your hotel. Having read many reviews on TripAdvisor, I was keen to do the Nile cruise with Sharm Club. Upon arrival we were met by Khaled who explained fully what the trip would involve so we were very excited. Firstly the day we had booked for had to be changed, and then we were told that the Sound and Light show would not be running. Upon arrival in Luxor we were split into 2 groups and ours was lead by (Ahmed - I think his name was) He was a nice guy but a lot of the time we were told to follow him without really knowing where we were going. We started with valley of the kings, we have visited many tombs, Queen Hatshepsut temple and Memnon temple. Next day we went to Edfu temple, the temple is amazing and well preserved and afternoon visited Kom Ombo temple. In Aswan we went to many temples and museums. the ship itself was very clean, food was very good but not excellent, plenty of variety based on set menu, but that's nit picking really as the choices were very very good. 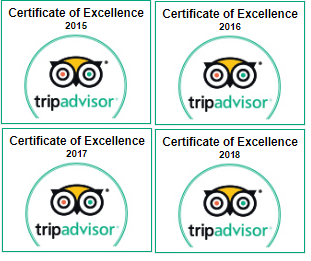 The room was a very nice and always clean, the staff were excellent and they checked the room for towels and bed sheets changed twice a day. Our guide explained everything very clearly and very much to the point. Thanks Sharm club, you're highly recommended with no doubt.